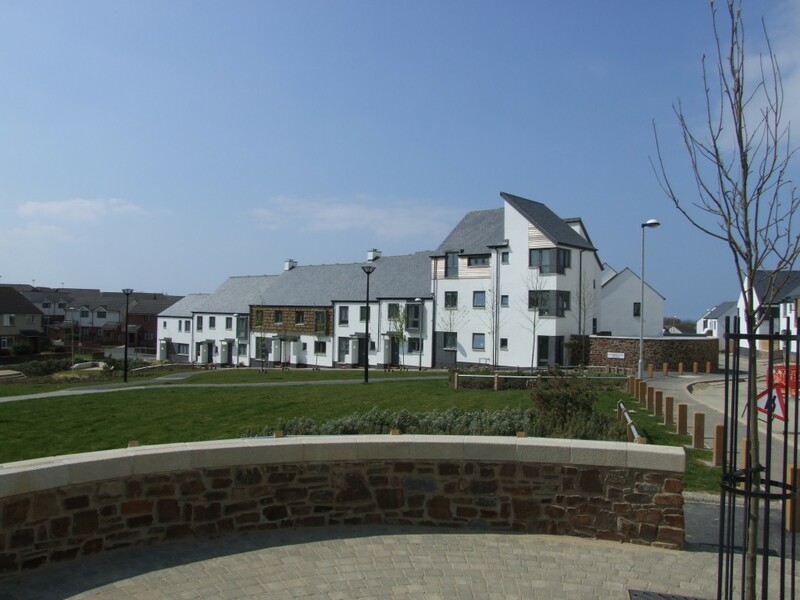 The design for 173 units on Broadclose Farm’s five hectare site on the northern fringe of Bude, North Cornwall was a joint venture between the local authority, a housing association, a trust and a private development partner to provide a mix of affordable, shared ownership and open-market homes for local residents, as an extension to an existing community. The scheme includes open space and community facilities and was developed through a productive consultation process with the local community. Based on passive design principles, the scheme is set out to enable most homes to enjoy views out to the spectacular coast and countryside setting. It includes a variety of houses, apartments and courtyard homes designed for the elderly. 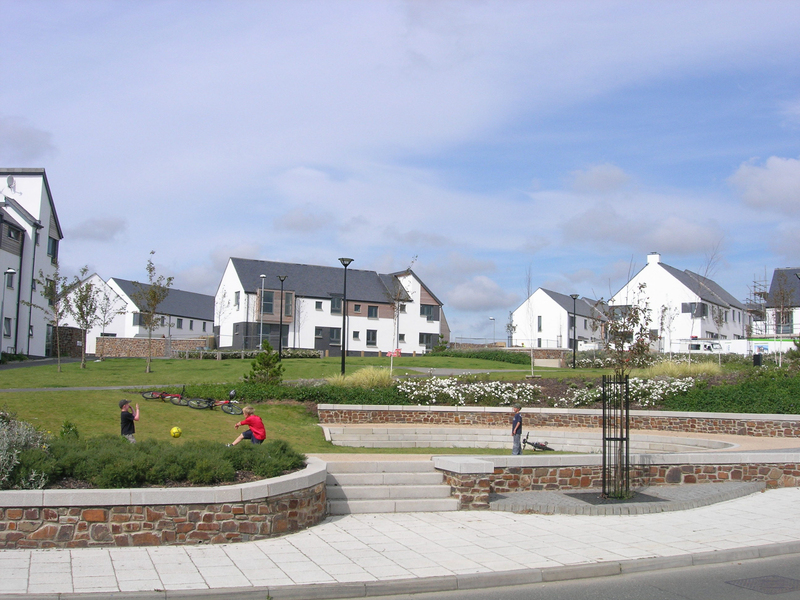 Working closely with the local community, we developed the masterplan and public realm along HomeZone principles with shared surface streets giving equal priority to cars, pedestrians and cyclists. The Highway Authority as persuaded to overcome initial fears about street widths and in-street obstacles and the roads have been adopted by the county council. Architecture is crisp, simple and contemporary; with white render elevations punctuated by grey timber windows and dark grey brick, while panels of cedar boarding and timber shakes lift the monochrome pallet and give a nod to the Cornish vernacular. The scheme is straight forward and economically accessible. It demonstrates that a little extra thought in the design process can add greater quality when the scheme is delivered. The development was taken forward and implemented by Midas Homes with the first phase winning the 2007 Richard Fielden Housing Design Award.